Up first, the biomarkers that regulate energy levels. After all, at InsideTracker we strongly believe in both telling you what’s important as well as explaining why. When optimized, the biomarkers below all play a role in keeping you going full steam ahead. When they’re off, though, they can have negative, energy draining effects. Glucose, or blood sugar, is the body’s first source of energy. And while in this context, having an easy source of energy sounds great, most of us have too much glucose in our diet. 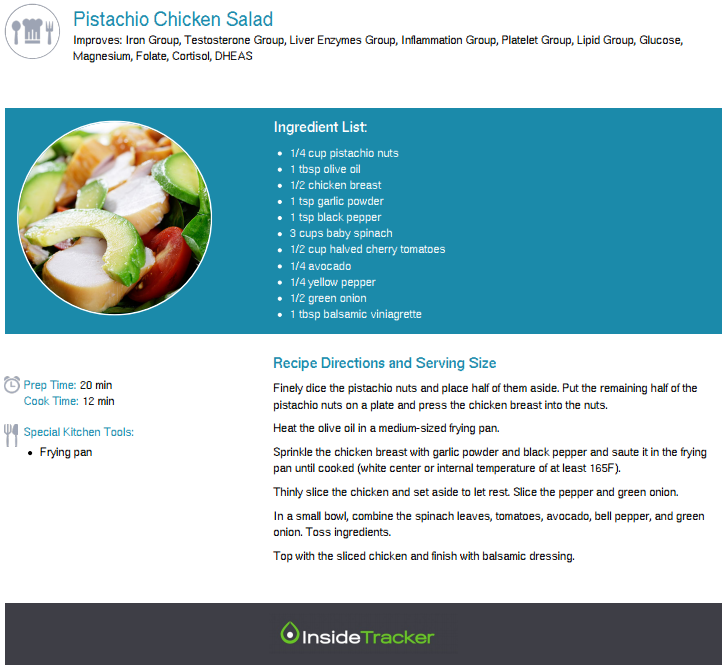 So much so, that only 22% of InsideTracker users have optimal glucose levels. Now you've been warned – consuming more glucose than your body needs means the excess is stored as fat. But foods high in fiber can help lower your blood glucose levels. Iron Group. Your iron level affects energy levels by regulating energy production and oxygen transport throughout your bloodstream. All physical activity depends on getting enough oxygen to your muscles, so ensuring optimal oxygen flow is especially important for reaching your next PR. Cortisol is a hormone the body releases in response to stress. In periods of brief stress, cortisol release triggers short spurts of energy due to our “fight or flight” response. 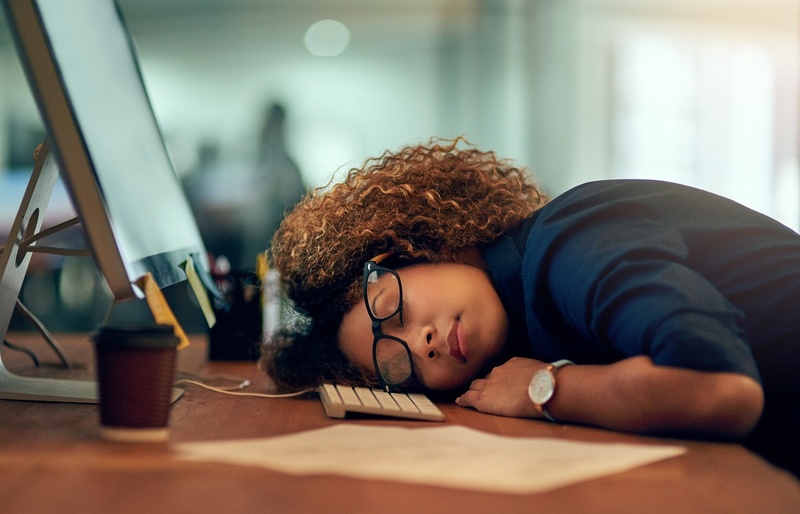 When cortisol stays elevated over time, though, it has negative effects such as chronic fatigue, poor sleep quality, and increased anxiety. Foods high in magnesium and healthy, unsaturated fat can help lower cortisol levels. Testosterone (for men) is important for energy production and is essential to overall health, sexual function, and athletic performance. Low levels of testosterone can cause chronic fatigue; optimizing your testosterone level boosts energy and promotes the growth of lean (muscle) mass. Foods high in magnesium and protein can help raise your testosterone. DHEAS (for women) is a hormone precursor (it gets turned into other hormones) that is an important indicator of aging in women. Optimal levels of DHEAS are associated with increased energy, healthy immune system function, and better bone and muscle health. Foods high in unsaturated fat can help raise DHEAS levels. 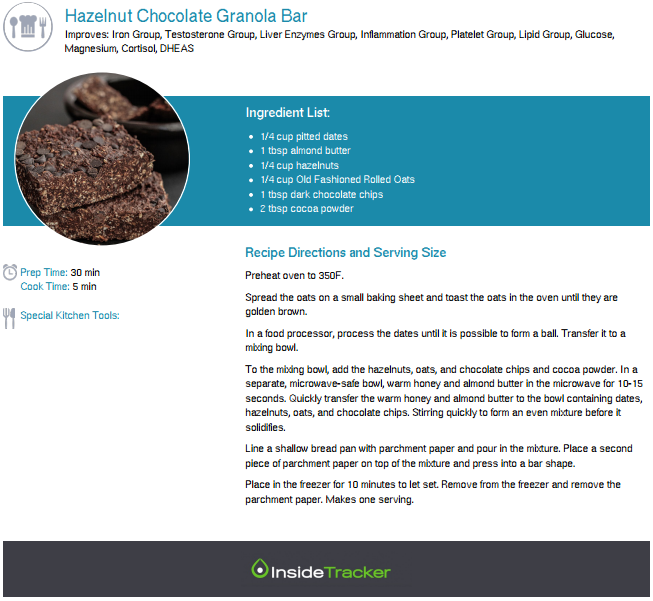 All of these fatigue-fighting recipes are great sources of protein, healthy fat, fiber, magnesium, and iron, which contribute to improving all of the InsideTracker energy-boosting biomarkers. These recipes were specifically created to target these markers, and to help get you through your day. This crunchy, sweet twist on a breakfast staple offers a nutritional boost of delight to both your biomarkers and your tastebuds. Start your day off with this, and fuel your productivity right through lunch. This salad may be light, but it packs an energy-boosting punch! It’s rich in protein, healthy fats, magnesium, fiber, and even iron to improve all of your energy-boosting biomarkers and satisfy you until your next meal. 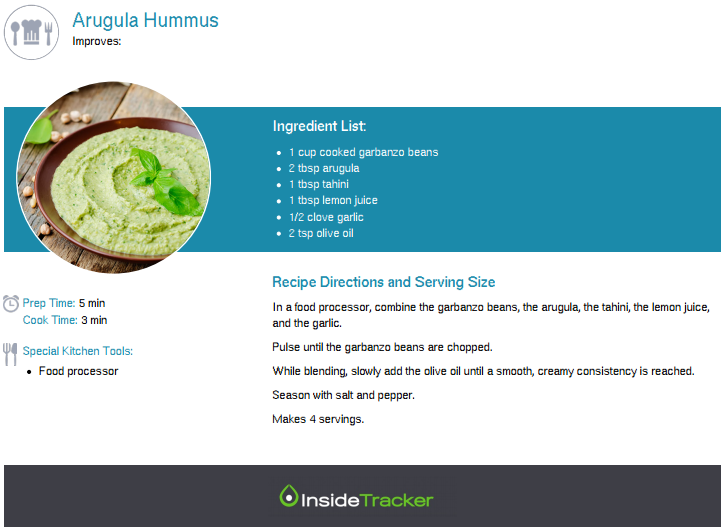 This tasty twist on hummus is a simple and quick snack to make. Whip up a large batch and separate into small containers with vegetables or crackers. You can bring these with you to work for a healthy afternoon snack. An added bonus – taking a 15-minute break to refocus and refuel with a healthy snack can help you power through your afternoon and commute home. This homemade granola bar is a delicious way to satisfy a sweet tooth without worrying about the sugar crash. 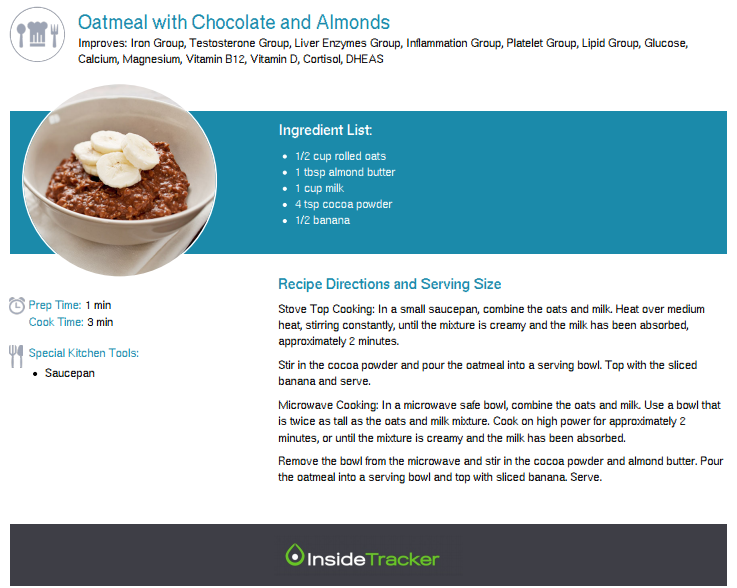 Nuts, oats, dark chocolate, and cocoa powder come together for a rich treat high in iron, fiber, and magnesium. Rather than heading to the coffee bar, grab this bar for a mid-afternoon pick-me-up. Even if you're not quite ready to kick caffeine, give these recipes a try to see how you can put some pep in your step without the percolator.